the creator of Laughter Yoga. 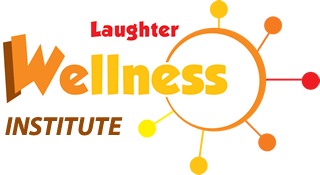 Let's Laugh Today has regular monthly laughter yoga sessions in Franklin, MA (2nd Wednesday) and Sharon, MA (2nd Saturday) and holds other special laughter events in various locations. No need to register; there is plenty of room so bring your friends! There are no yoga poses and no mats are needed. Please arrive a little early so we can begin on time. Laughing can be dehydrating, so please bring your water bottle. A $5 per person/$10 per family donation is requested for the use of the hall. Let's Laugh Today in Sharon - FREE! Please bring a canned good for the Sharon-Stoughton Ilse Marks Food Pantry. $5 fee paid to senior center. A special training for Partners/Couples! This will be our 26th training. Check out our couples training page. Email us now at billandlinda@letslaughtoday.com to register. with the 2019 revised training manual! This will be our 27th training. Check out our training page. Email us now at billandlinda@letslaughtoday.com to register. We have been leading laughter sessions since 2009. We hope you come and laugh with us! We are highlighted in two articles on the laughter yoga international web site! Thank you Bill and Linda. It was a pleasure to reconnect and laugh with you. I am very impressed by your professionalism, attention to the small details that make all the difference, and unconditional commitment to make this world a better place. You shine. May you thrive! 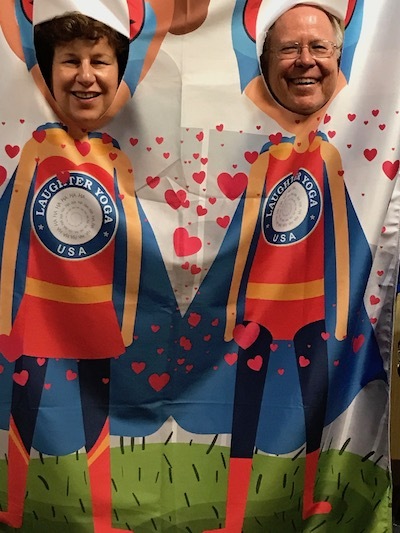 We are charter members of Laughter Yoga USA and we are on the Laughter Yoga USA Executive Committee which helps to build laughter community in the United States. 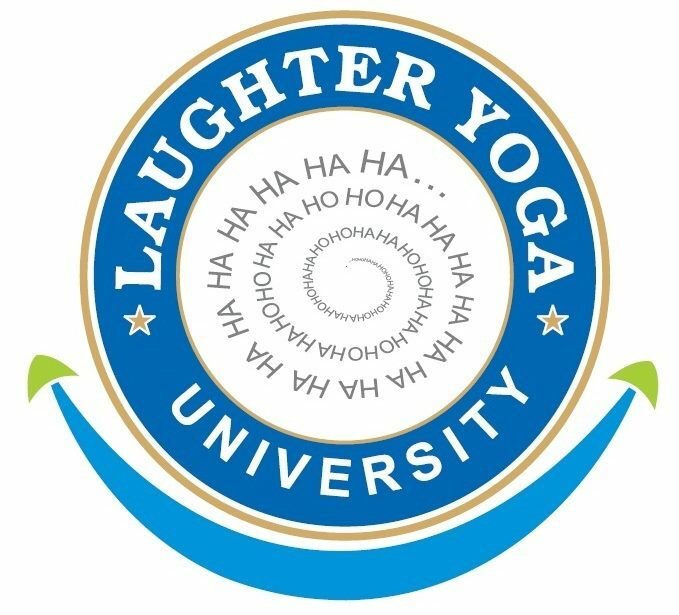 We encourage you to also become a charter member of Laughter Yoga USA and support Heatlth, Happiness and World Peace thru Laughter. Click here for details. 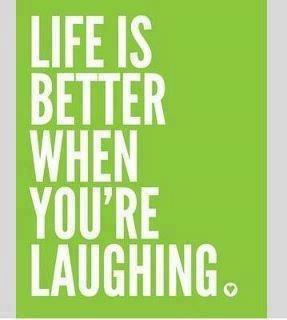 Experience all the health benefits of a good belly laugh! No comedy or jokes involved! Enjoy this unique exercise of laughter and clapping combined with gentle breathing that brings more oxygen to the body's cells. This oxygen boost gives enhanced vitality, energy and a feeling of real well-being. Any age and any level of physical ability can participate in this uplifting experience! Children are welcome. You can sit or stand. There are no fancy poses. 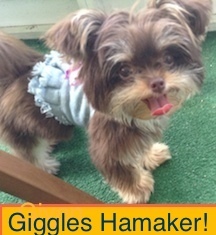 Giggle and Click the links below to see previous newsletters. 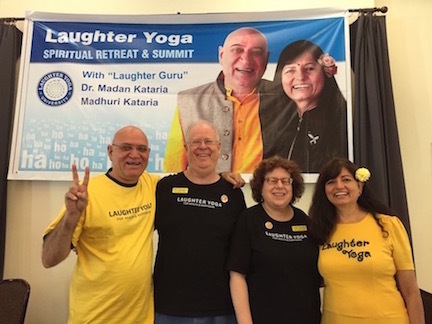 Dr. Madan Kataria, the creator of Laughter Yoga, endorses Bill and Linda. 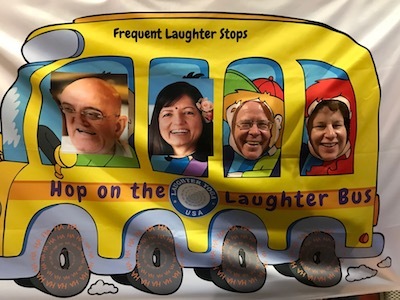 Click here to see story about us and Laughter Yoga on Boston's NBC 10 that aired in April 2019! Click here to watch us being interviewed by Mary Rubino for the Naturally Speaking show on Medway Cable Access in December 2015. Click here to hear us being intervieweds on the WROL 950am for their Around Town radio program on August 29, 2015. Click here and then scroll down to the bottom of the page to see the latest article about us in the print edition of the Boston Magazine. In the print edition the article is prominently displayed taking up half a page! 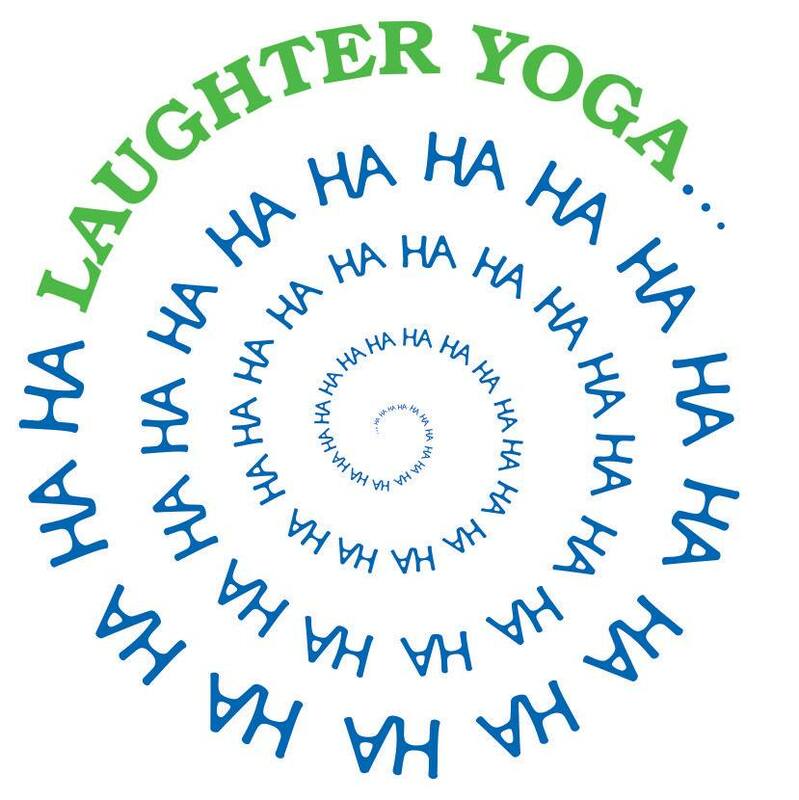 Click here to see an article about us and Laughter Yoga in the on-line Boston Magazine. Click here to see an article we wrote for the Spirit of Change magazine in February 2019. Click here to see an article we wrote in the Innovation Excellence website in December 2013. Click here to see a video of the one year anniversary of Let's Laugh Today Laughter Club - September 2010. Click here for the latest club news. One way to laugh every day is to call the National Laugh Line. 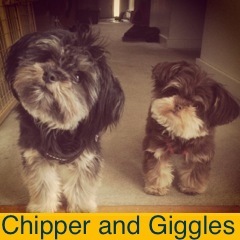 They have ten 20 minute laughter sessions every day! 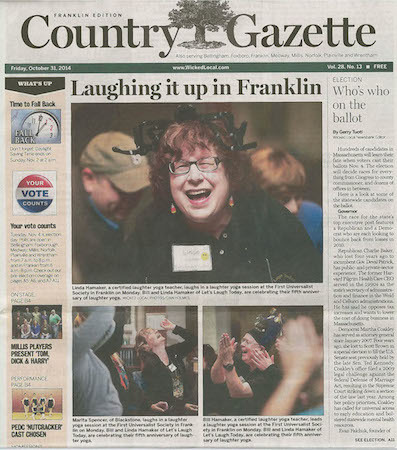 Laughter clubs are non-political, non-religious and non-profit organizations. In consideration of participants who have sensitivities, please do not wear perfumes or colognes. 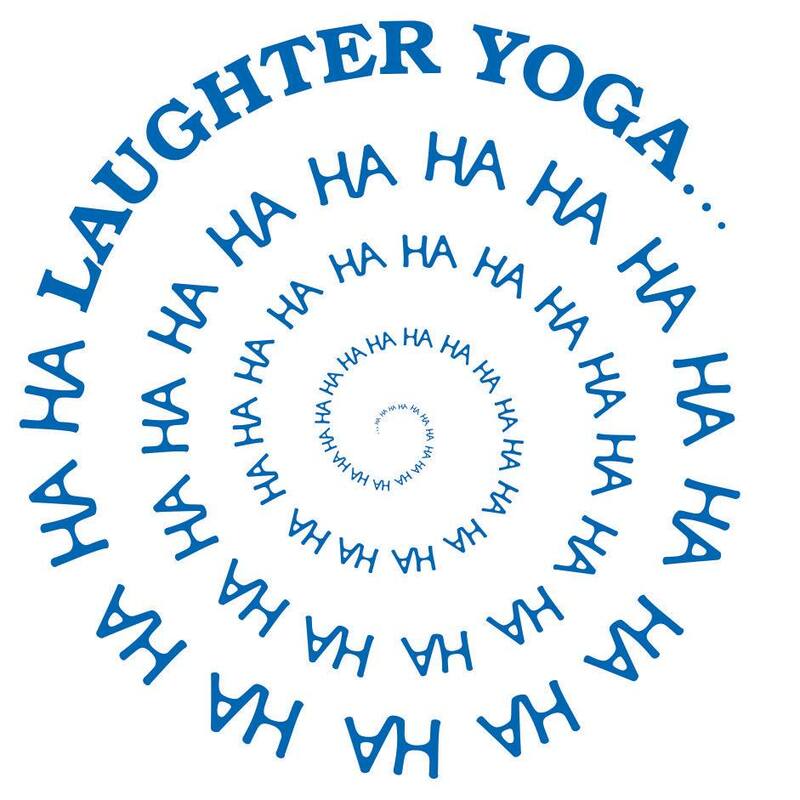 The vision of Laughter Yoga is to achieve Health, Joy and World Peace through laughter. 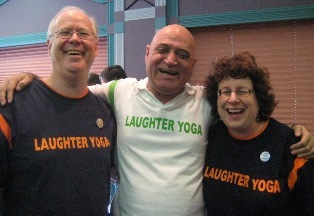 To read more about Laughter Yoga and laughter clubs click here. 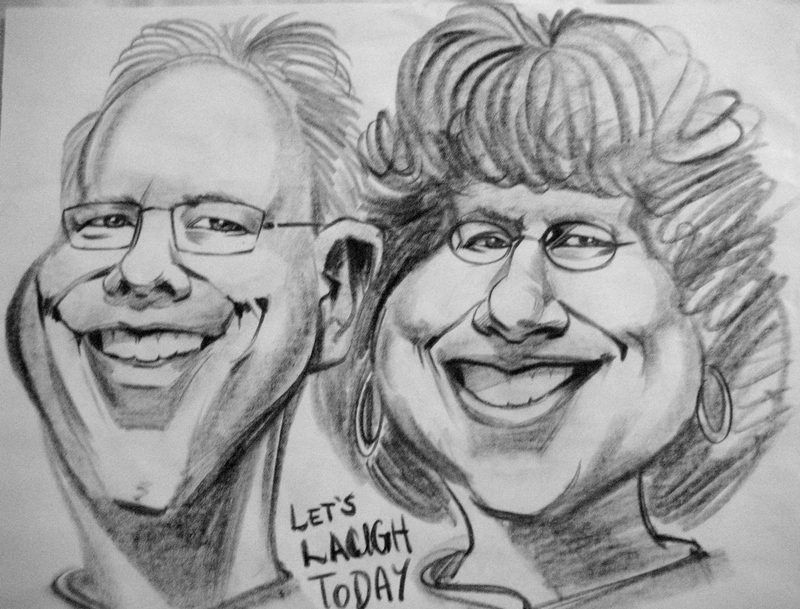 For testimonials about our laughter club click here. Click the icons below to see our social media sites. Click here to join our free Small Dog Meetup.